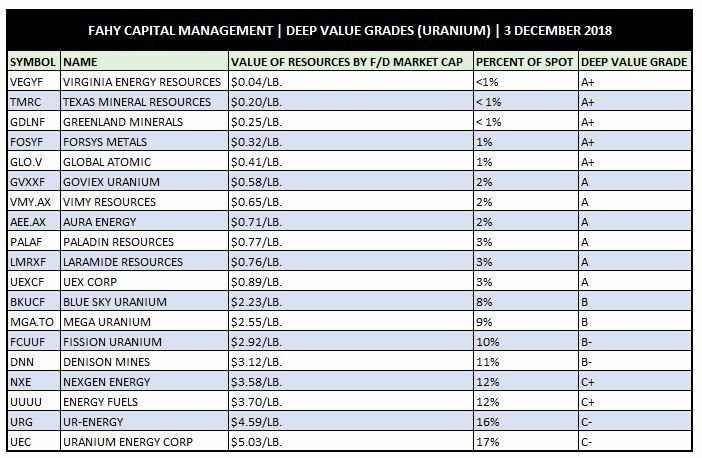 Wherein an A+ implies the very deepest of present value in terms of Value of Resources by Fully-Diluted Market Cap. Just because it has a good letter grade doesn’t mean it isn’t a deep value trap. It’s up to you to find out why lbs. of this or ozs. of that are on sale. 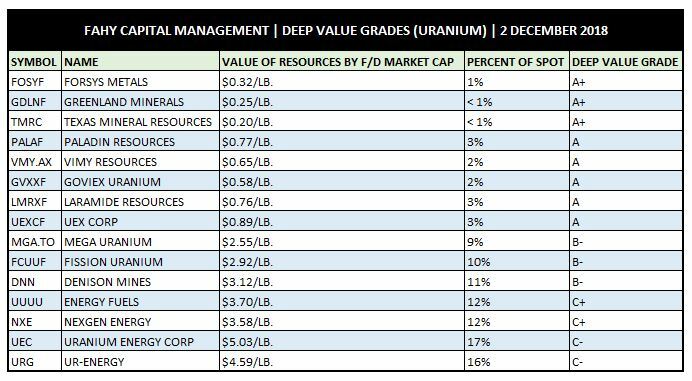 After all, some of the cheapest uranium lbs. by market cap available could prove the most expensive you ever buy.